Kolcraft Enterprises, Inc. and the U.S. Consumer Product Safety Commission (CPSC) have issued a recall of several models of the Kolcraft Contours Options stroller. When the hinge mechanism on the stroller is being locked or unlocked, it creates a gap in which a child’s or parent’s finger can become wedged, increasing the risk for amputation or other serious injuries when the mechanism is closed. 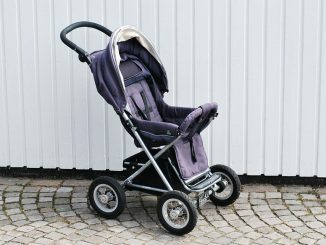 The CPSC has received five reports of product defect injury from the strollers, including two adults who had fingers smashed in the hinge and three children who required amputations after their fingers were caught in the hinge. The recall affects three- and four-wheeled strollers with model numbers ZL002, ZL005, ZL008, ZL015, and ZL018. The model number and date the stroller was manufactured are on a sticker placed above the left wheel on the ZL002 and on a tag sewn into the back of the seat on the other models. The strollers were sold between January 2006 and November 2009 at various retailers across the U.S., including Toys “R” Us, Target, and online at Amazon.com. Parents and caregivers should stop using the strollers and call Kolcraft at (800) 453-7673 for a free repair kit. Defective products can cause serious injuries, especially when the defect is not obvious or expected. If you or someone you love has been injured by a defective stroller or other items, contact the knowledgeable San Diego defective child product injury attorneys today. We’ll help you find out what happened and protect your legal rights.